creating a magical unicorn is easy with step-by-step instructions! Is there any creature who captures a child's imagination more that the unicorn? 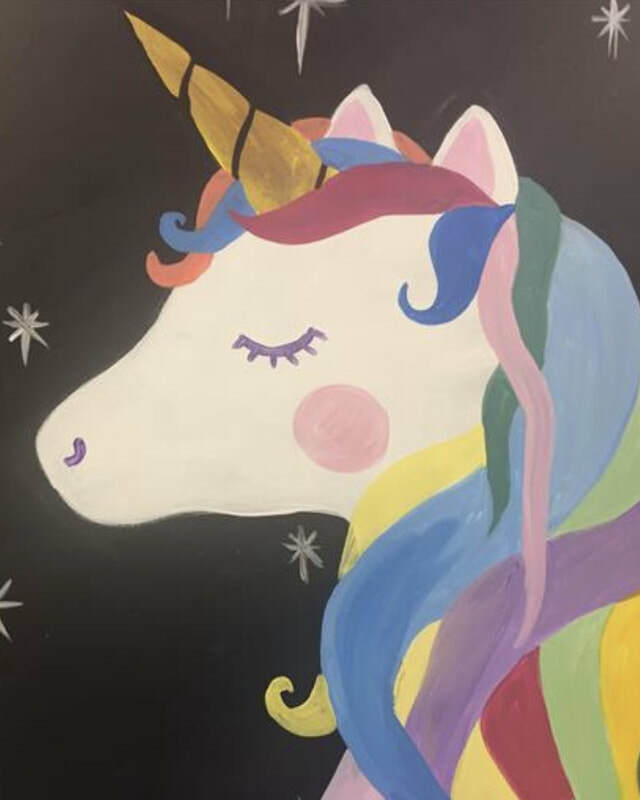 At Gallery 53’s Unicorn Paint Class our experienced instructor, Kristin Grumbling, will guide your child step by step through creating their own individual unicorn painting. Under Kristin's guidance, your child will go home with a beautiful finished painting that will lend a special magic to your child's room!